Everyone is talking about the Amazon Echo, and with good reason. This hands-free speaker is controlled by your own voice and does just about anything you want it to. 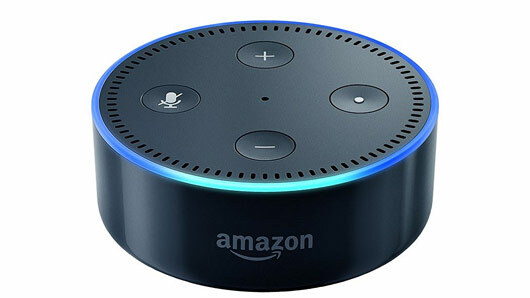 Using advanced voice recognition technology, the Echo plays music from streaming services including Amazon Music and Spotify and can also answer questions, set alarms, read audiobooks, report news and even control the lights in your home! A seriously cool gift to give any tech-lover this Christmas. 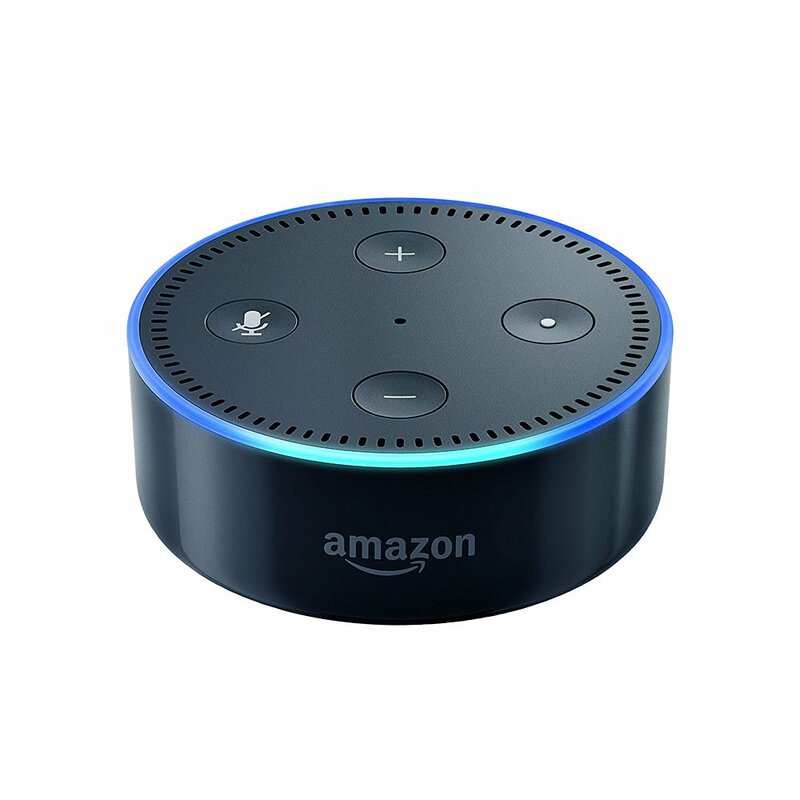 If you like the idea of the Amazon Echo but want something on the slightly more affordable end, then the Amazon Echo Dot is your best bet! 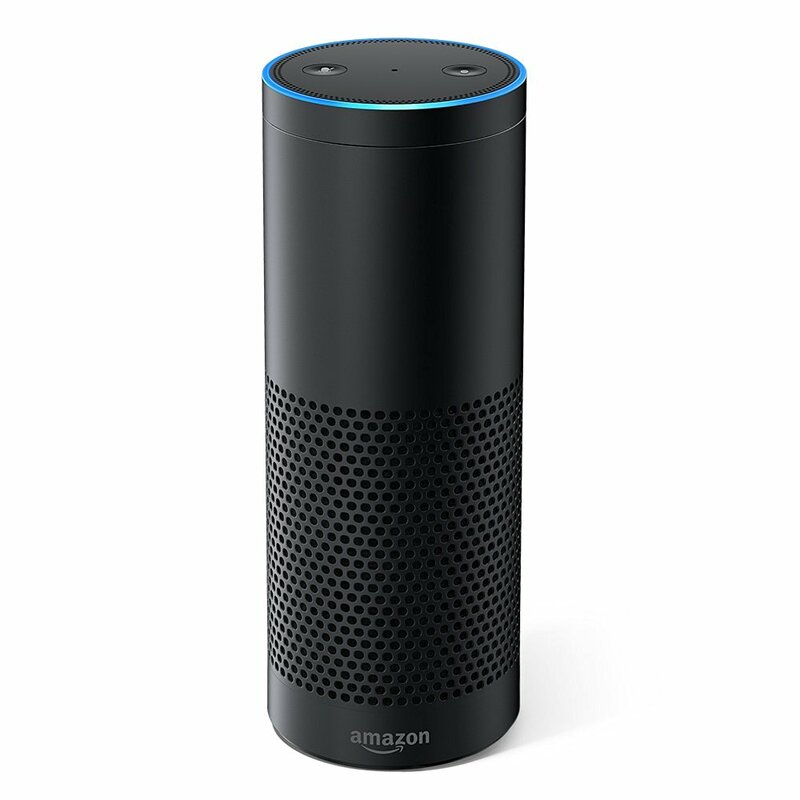 The voice-controlled device shares many of the same features with the Amazon Echo but is just without the main speaker. So the idea is that you hook the Dot up to your own audio setup either via Bluetooth or cable. Half the size, half the price, but still equally as smart! 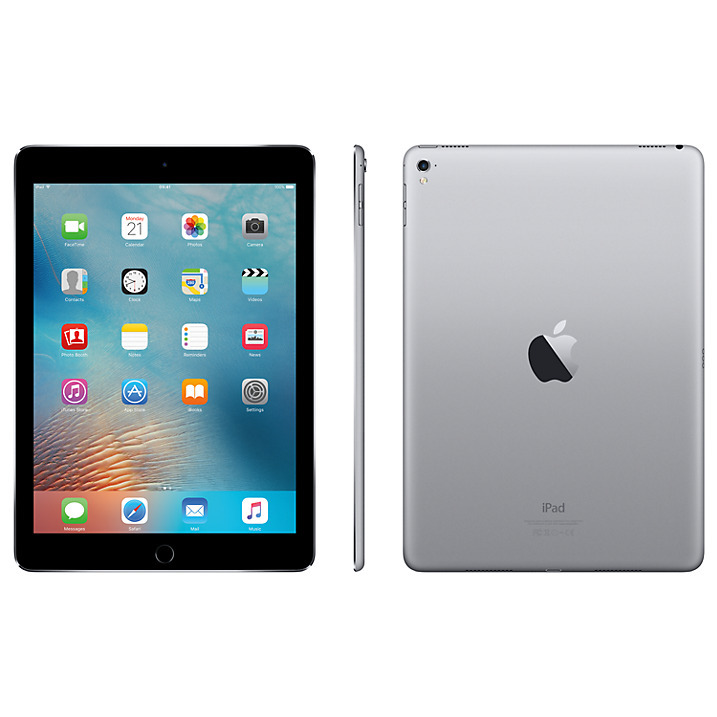 A favourite among Apple fans this season is the iPad Pro 9.7inch: Apple’s most advanced tablet to date. The iPad comes with a 5MP FaceTime camera, Touch ID fingerprint scanner and a ‘True Tone’ screen that adapts according to the light levels of your surroundings. Sharper, sleeker and smarter than ever before, this tablet would make an amazing gift for someone special this year. 360 degree cameras are the hot gadget of 2016 and with this LG 360 Cam you can capture moments like never before. The dual wide-angled 13MP lenses and 2K video allows users to take one-touch 360 photos and video recordings in excellent detail and the cylindrical and compact design allows you to use the camera with total ease. This fully immersive virtual reality headset would make a really cool and quirky gift and would provide endless hours of fun for all on Christmas Day. 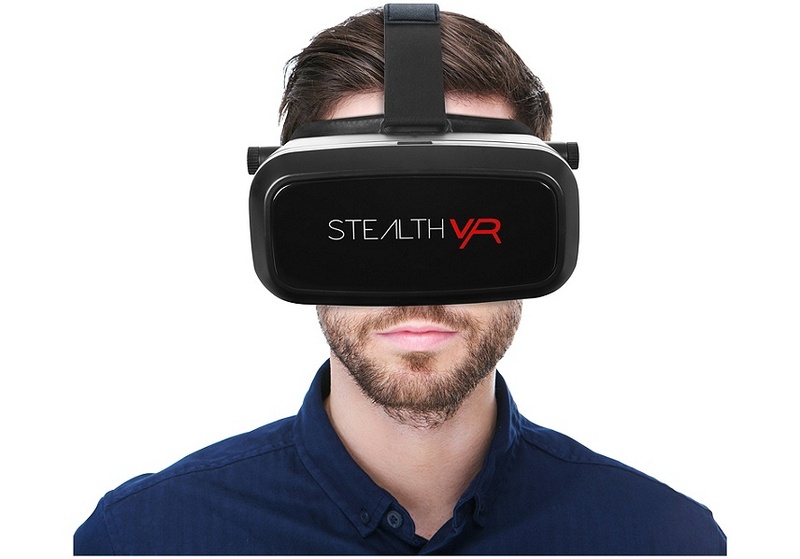 Compatible with most Android and Smart Phones, all you have to do is open the visor, insert your phone, load up your content and then slip into a completely unique virtual world. Everyone knows someone who is a serial emoji-user. Well, we’ve found the perfect present for them this holiday season. 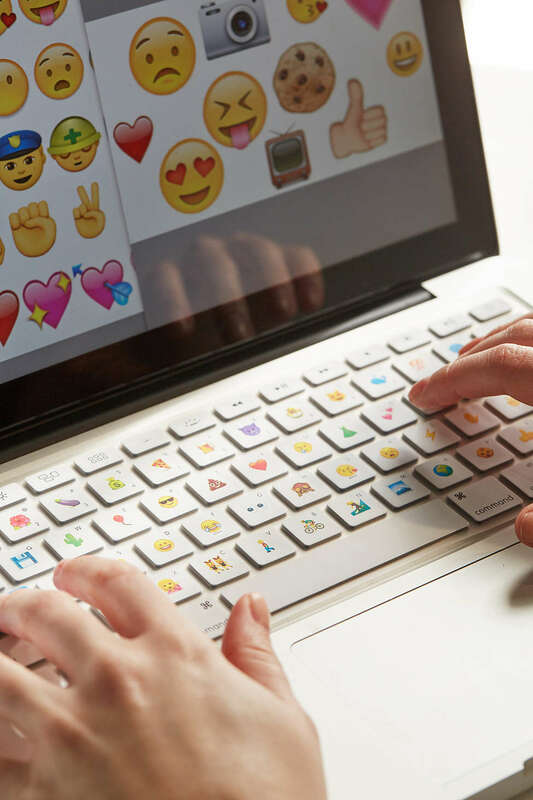 This thin silicone overlay by Disk Cactus can be placed over Mac laptop and desktop keyboards and uses custom software that lets you use over 300 classic Emojis in any Mac app! This might look like your standard, classic watch but this bit of revolutionary technology will seriously blow your mind! 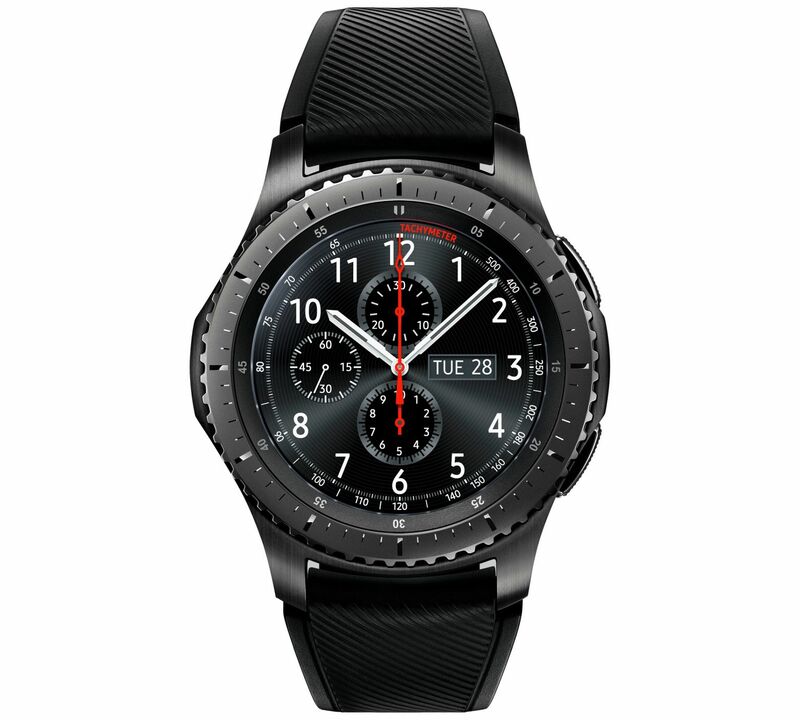 The Samsung Gear S3 Frontier Smart Watch has a built-in microphone, GPS and has an impressive four day battery life, allowing wearers to answer calls, read messages and open apps at the twist of a bezel. Plus, the simple, minimalist design looks seamless and far from the intrusive design of some other smart watch models. This gadget has is perfect for those who enjoy technology with a retro aesthetic. 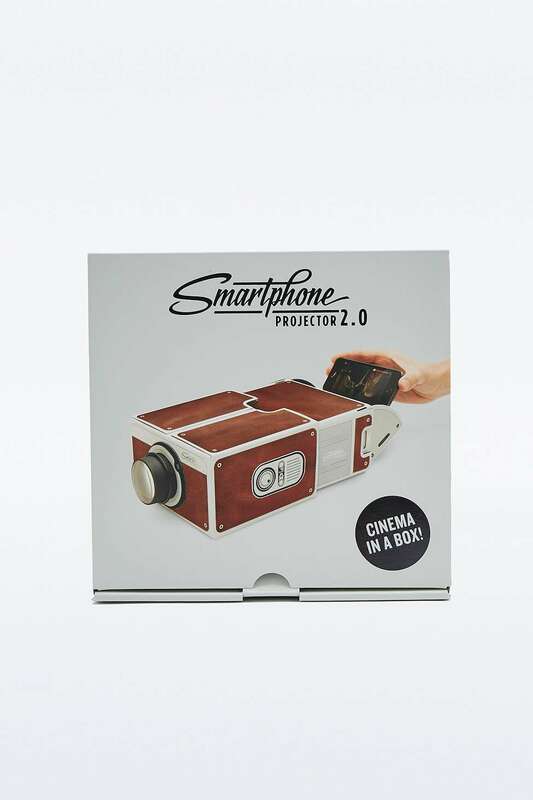 The cool, wooden-look invention claims to be a “cinema in a box”, allowing iPhone owners to project things from the small screen of their phone onto the wall for easier viewing. The projector is easy to assemble, simple to use and would make a great novelty gift for any friend or family member. Music lovers will understand the struggle of tangled earphone cords getting in the way of their listening experience. Well, this hassle need no longer be with a pair of wireless headphones. 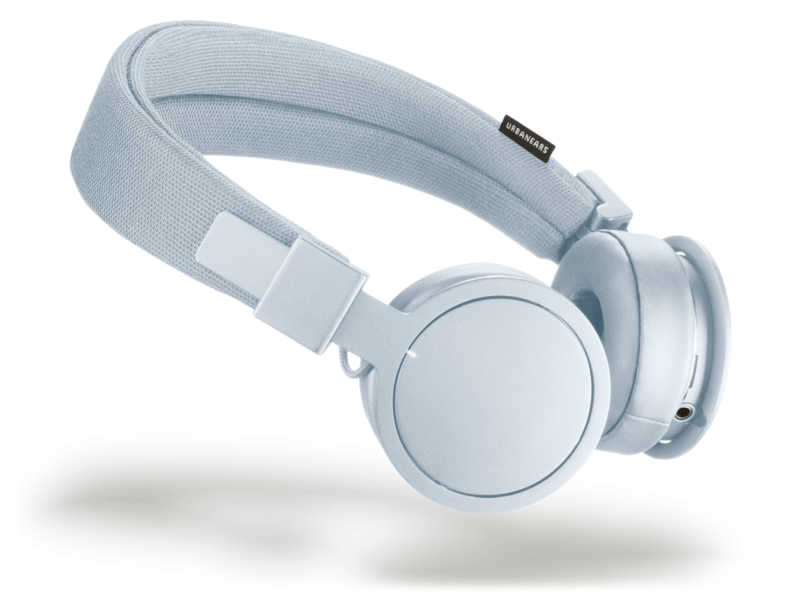 This genius pair of headphones comes in a variety of different colours and enables users to move around freely as they listen to music. Simply connect to Bluetooth and enjoy up to 14-hours of playtime on a single charge. Wondering what to get the health and fitness fanatic this Crimbo? Well, this Misfit Fitness + Sleep Monitor could actually make those healthy New Year’s resolutions a reality. 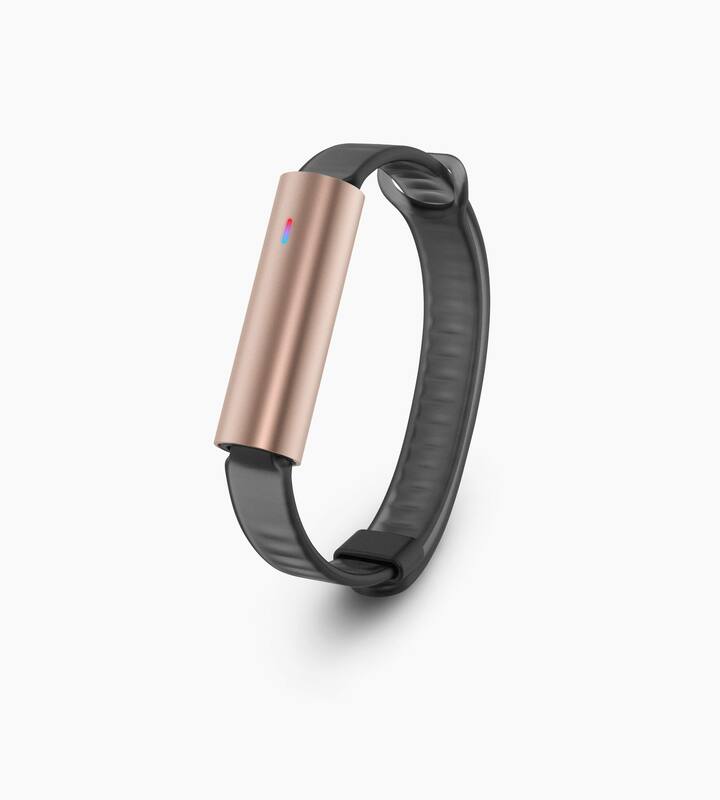 The wrist band is enough to keep anyone motivated, tracking steps taken, distance traveled, calories burned, activity tagging, and sleep duration and quality. And we love the rose gold design! Turn your iPhone into an instant camera with this smartphone photo printer. 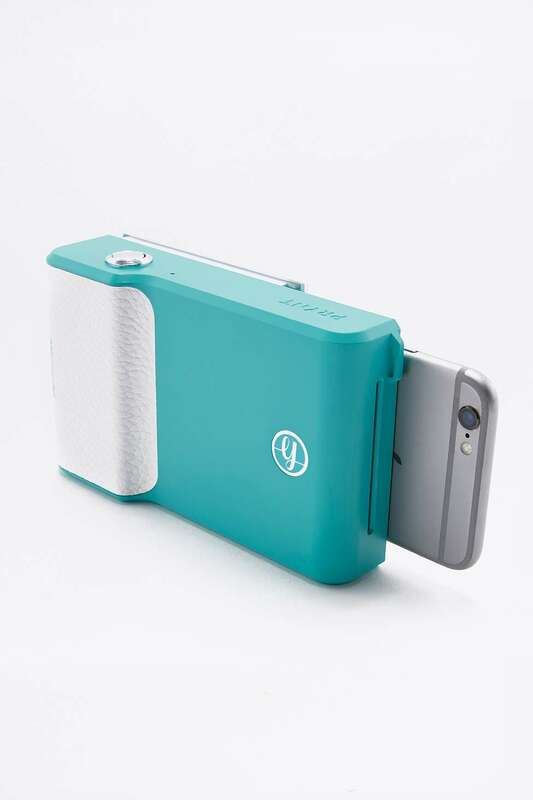 With this nifty gadget you can print instant photos from your iPhone 6/6s by simply attaching the Prynt case to your phone. Not only this, but when you hand your photo to a friend, they are able to use the Prynt app to unlock hidden videos! Now, that’s cool. 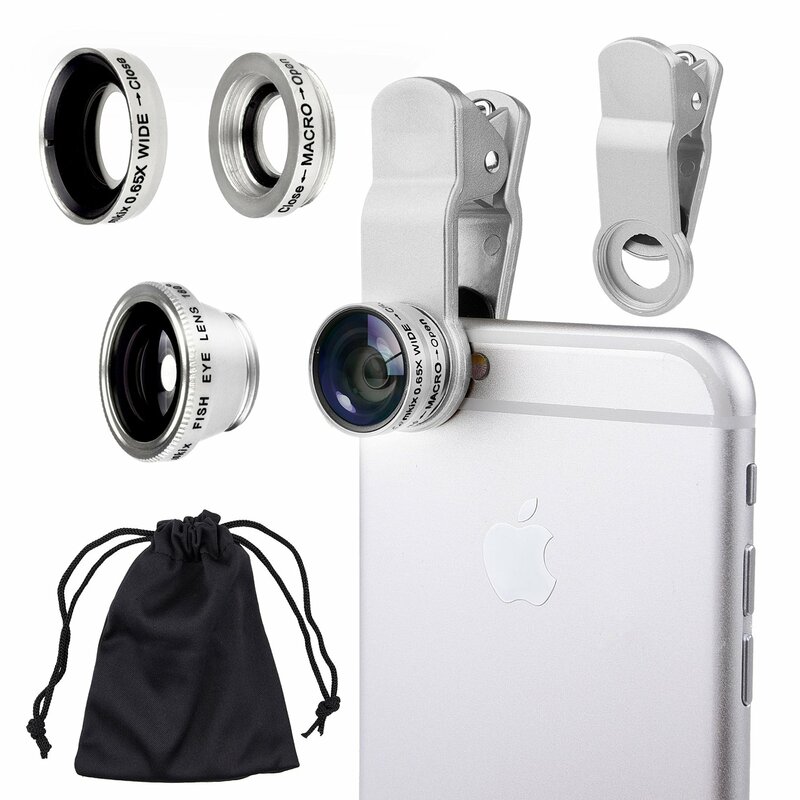 This set contains three different lenses to provide three different photo effects for your smartphone, tablet or laptop. This affordable lens kit would make a fantastic, original stocking filler this Christmas and will seriously up any Instagram addict’s photo game.